For my built environment, I chose the George Washington University Hospital. From here, I explored the area and researched the history of the hospital, the adjoined GW medical school, the Foggy Bottom residency. When I started I planned on discussing the significance of the location in terms of the metro system but as the sight evolved so did my plan for the final project. I ended by investigating the relationship between the residents and the hospital. My map is not a physical outline of Foggy Bottom but a metaphysical map of the rhetoric surrounding the statement, “love thy neighbor.” Although the map is metaphysical, the semester’s investigation of the built environment had a huge impact on the resulting commonplace, therefore, all digital archives and annotated bibliographies led to the one statement. After exploring many different sides to the George Washington University Hospital, the discourse found between the Hospital and Foggy Bottom residents led to a commonplace based on a single principle, specifically, the rhetoric and discourse surrounding the statement, “love thy neighbor,” which I discovered in a video of Dr. Sarani from the GW Hospital. Although this phrase is not acknowledged by the residents in typical fashion but it appears to all through how residents and the hospital relate to each other. This commonplace among the Foggy Bottom Association, run by residents, was discovered in a video of a town hall meeting for the GW Hospital and the Foggy Bottom community to discuss the addition of a helipad to the hospital. The phrase is greater than solely the Foggy Bottom community because it touches all of humanity in its value. Dr. Sarani, of the GW Hospital, stated “Love thy neighbor” in response to the Foggy Bottom resident’s extreme opposition to the helipad instillation at the GW Hospital during a community town hall-like meeting. While the Foggy Bottom community argued that the helicopters entering the area would be too loud and too disruptive to the community, Dr. Sarani voiced his concerns for the wellbeing of the GW patients and the cost of their lives. This concept of “love thy neighbor” was reiterated by Lt. Col. (Ret.) Mike Conklin, a helicopter pilot and aviation consultant, previously for President Clinton. Lt. Col. Conklin stated, “2 minutes worth of noise to save someone’s life” is the difference between adding a helipad and negating the plan. As previously stated, the rhetoric surrounding the phrase “love thy neighbor” extends past religion and to the basics of humanity. The theme is found in a recording of Mario Savio, political activist specializing in the free speech movement, where he discusses University of California-Berkeley’s relationship with its students. He stated, “We’re human beings! There is a time when the operation of the machine becomes so odious, makes you so sick at heart, that you can’t take part; you can’t even passively take part, and you’ve got to put your bodies upon the gears and upon the wheels, upon the levers, upon all the apparatus, and you’ve got to make it stop.” The parallel comes from the idea that people must think larger than themselves. Where the university must recognize that all students are people and not part of a production line, the residents of Foggy Bottom must think past the noise of helicopters to the lives that are at stake. The human life must be taken importance over the machines. Of the religious connotations of the phrase, found in Mark 12:31 of the bible, the ideology does not change. Although interpretations of the bible alter to each person, the general statement of acceptance and respect still remain. From the English Standard version of the bible, the statement is ‘You shall love your neighbor as yourself.’ There is no other commandment greater than these.” Although this phrase comes from the bible and will always have religious connotations, the idea does not even have to be in a religious sense, but just in a way that is in regards to the respect of others. That emphasizes that in no way is one life more important than another, that a noise complaint no more important than a human life. Thus, it extends to humanity as a whole, past the divisions of religion. “finally, let’s remember that if there is one law that we can all be most certain of that seems to bind people of all faiths, and people who are still finding their way towards faith but have a sense of ethics and morality in them — that one law, that Golden Rule that we should treat one another as we wish to be treated. The Torah says ‘Love thy neighbor as yourself.’ In Islam, there is a Hadith that states: ‘None of you truly believes until he loves for his brother what he loves for himself.’ The Holy Bible tells us to ‘put on love, which binds everything together in perfect harmony.’ Put on love. Whatever our beliefs, whatever our traditions, we must seek to be instruments of peace, and bringing light where there is darkness, and sowing love where there is hatred” (“Remarks by Obama”). His examples and proposal lead to the discussion of using religion in political debates. Gary Gutting, presents this idea in his article, “Should religion Play a Role in Politics?” for the The New York Times. About using religious rhetoric in political debates, he states, “We have, for example, come to a consensus about extending full civil rights to all adult citizens, regardless of race or gender. But some argued for this conclusion from the equality of all human beings as children of God, others from self-evident truths about human nature, and still others from the overall increase in happiness that would result from equal treatment.” Gutting makes the argument that this ideology can be extended from religion and act as a basis for all people. Thus, from my research of “Love thy neighbor,” the phrase and ideology ultimately creates a connection between all people, and in this case, all the residents in the Foggy Bottom area. Because the residents could not find a common ground with the representative’s Dr. Sarani and Lt. Col. Conklin from the hospital, the representatives created a commonplace with the universal concept of humanity and morality. The commonplace was mapped by how the ideology can be interpreted and used, and this introduction gave an outline as to the diverse map of the ideology. Prezi, as a variation of media, works to allow for the connections to be interpreted in many different ways because the map is not physically established in Foggy Bottom but a metaphysical map of ideas and interpretations. Something that I have seen all over campus, and all throughout my high school career, are stickers found on student’s laptops or on their cases. At American University, many of the stickers seen are political statements, but others seem reference TV shows, music, hometowns or states, Greek Life, or any extra-curricular or club that a student may be involved in. The stickers work to create identity for the laptop user. Placing stickers on your laptop, not only decorates it, but shows to other people what you are interested in, where you are from, or what you like to do. From this, others can make connections from what they see, as they may relate to one or find one particularly interesting. I, personally, have gotten many comments from my political stickers decorating my laptop. When you see another with stickers from your favorite show or another mutual interest, it creates a connection. In a society that many argue is being divided and altered by technology, like being distracted by your smart phone, simple things like stickers bring us back to mutual interests in the present (which are ironically found on pieces of technology). I am from a fairly large city in Massachusetts called Worcester, located an hour outside of Boston in central Mass. A common rhetoric found, not only in Massachusetts but in Worcester, is the emphasis on language, pronunciation, and accent. What’s known as the Boston accent is found in my city as well. Many people from Worcester called the city “the Woo” or “the Dirty Woo,” depending on where you are from or what the context of the conversation is. Below are two photos of a sticker and a wall decal that I have from home that emphasize the accent. My friends and I don’t carry the accent like our parents do or others of the older generations but we adopt it because it means home, even when we are only making jokes of it, like when I reassure my friend that she is “wicked smaht.” With the nicknames, the reputation, and the accent comes great pride for “the Woo” and for Massachusetts. Suzanne Tick, the author of “His and Hers? 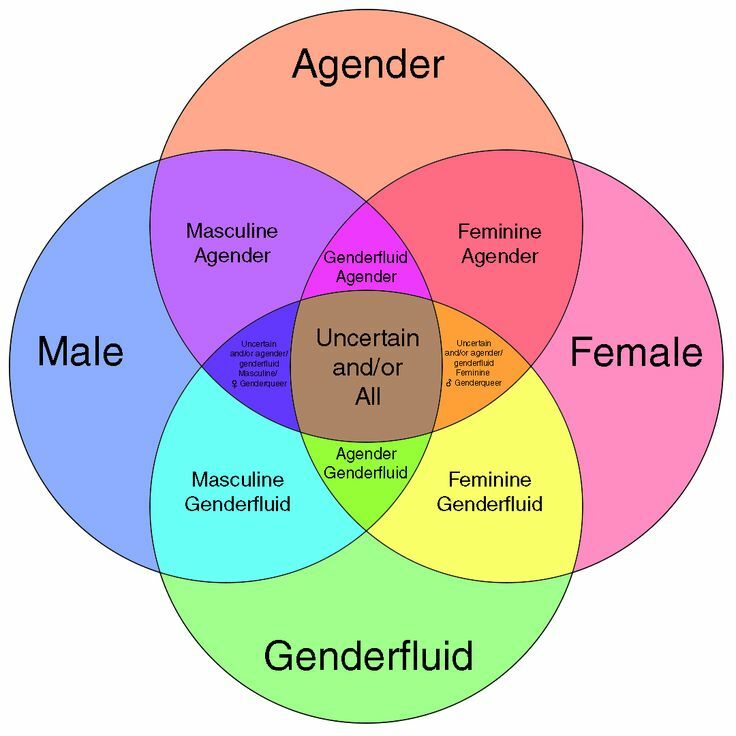 Designing for a Post-Gender Society,” proposes that “Identity is no longer clearly defined as female or male, but by increasingly visible manifestations of sexuality or lack thereof.” Therefore, society, designers and all, must work to become more flexible with terms of gender identity and expression because gender is becoming less defined. As this is happening, there needs to be a growing commonplace, a place of respect and acceptance, for the genderless in society from fashion to bathrooms to the workplace. Tick reiterates this need by explaining that, “Making people feel accommodated—whether it’s in a public space or office—parallels the bigger conversation about universal design.” Thus, this universal design becomes a commonplace for greater discourse and “inclusivity” for all genders or lack thereof as time progresses. Tick, Suzanne. “His and Hers? Designing for a Post-Gender Society.” Metropolis. 20 March 2015, https://via.hypothes.is/http://www.metropolismag.com/ideas/his-hers-designing-for-a-post-gender-society/. “As I have tried to suggest here, considering more carefully our metropolitan lives together and thinking more creatively about our civic responsibilities to one another is not about is not about simply shifting our shifting our political allegiance from one public to another, from the globe or nation-state to the city or urban district; it is rather about developing and protecting the full and multilayered set of publics in which we are always already embedded” (212). Fleming’s intentions are to explain that personal politics should not take away from interpersonal relationships or from divisions between certain areas within a city, state, or town, because their are responsibilities to each citizen as a human. Therefore, maintaining the common set of discourses and ability to understand the layers of identities of which people are, and to create commonplaces from what people have already have based on identity, equates to bridging the gap between all people. With the continuing inability to diversify neighborhoods or improve upon the urban developments, the diversity continues to struggle and commonplaces do not exist. This results in lack of representation and lack of power and lack of voice for many minorities. Within Chicago, many of the housing programs have ended, as the results have not been garnered. Fleming called it “free movement” of societies as the resulting communities but also elaborated on how the neighborhoods ended up polarized (214). He proposed that the initial unnatural environments cause these issues of polarization rather than a commonplace. But, even after all the trouble of creating a built commonplace, he remains hopeful of a future where people will continue to resist the shift by which political motives attempt to remove them from specific locations and continue to learn about the issues affecting their community. In the end, Chicago has created an all new housing plan to replace the old. This is a photograph of the Foggy Bottom metro from the back and the architecture of the GW hospital building from the court yard of the GW Medical School. This picture shows the hospital, the metro, and apartment buildings in the background from the courtyard of the University in one small congested area, which, in relation to the annotated bibliographies, shows the neighborhood disagreement over introducing a helipad to the area due to the confined space of the neighborhood. This is a photograph of the metro stop at Foggy Bottom at GW Hospital and Medical school that shows the ability to connect with many other places within in DC, which then leads to the popularity of the area- in regards to living space, attending school, or spending free time for the attractions like restaurants . Also seen in the photograph are people handing out pamphlets that introduce things from attractions within the area to information about the hospital or other community programs.